We all know rules are an important part of everyday life. Unfortunately, blindly following a series of rules isn’t very helpful for personal growth. At New Focus, our students understand why rules are in place by discovering the principles behind them. Every aspect of New Focus treatment revolves around our Six Principles. When a student struggles, our staff take the time to teach how their behavior relates to the principles. Similarly, we reinforce positive behavior by acknowledging a student’s successful contributions to groups, activities, and social interactions using the Principles. Unlike other programs, our Six Principles were developed by our students for our students. Our approach has been carefully curated with our students in mind. 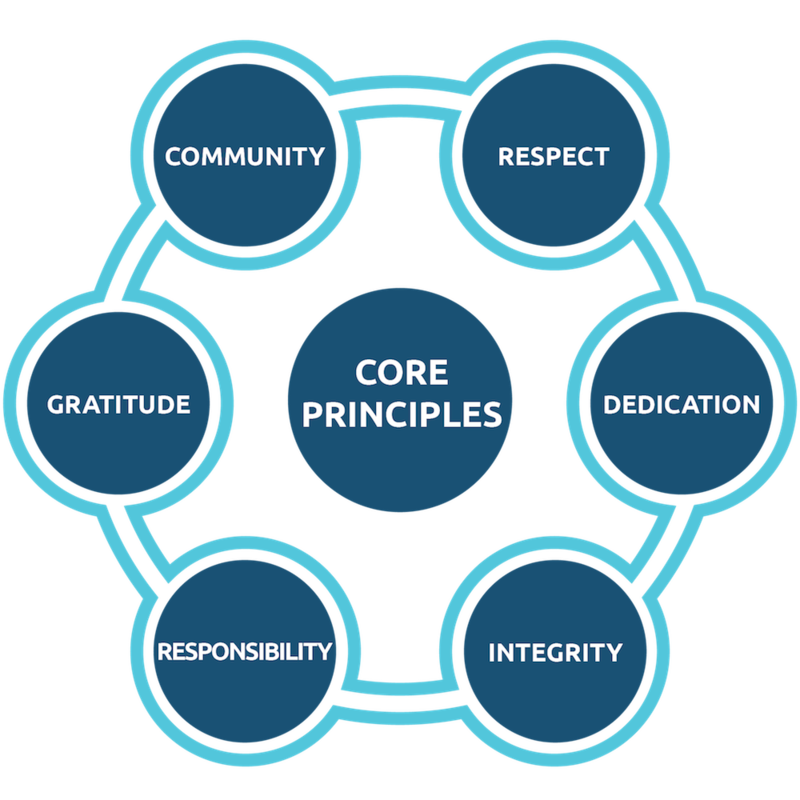 The six principles make up the foundation of our program and our approach within it. We’ve designed New Focus Academy to help your child learn, grow, and thrive. Core principles that guide our program and our students. Being part of something bigger than yourself by supporting and caring for others. Community is a critical part of not just our support system, but the system in which we learn and grow into independent individuals. Being aware of others’ needs and regarding them as highly as yours. In order to work with others, you must respect them and yourself. Treating other individuals with true respect is a powerful skill. Working hard to accomplish goals even when times get difficult. Our students are very familiar with failure, which has made dedication even harder. We work to reinvigorate that dedication. Knowing the right thing to do and following through with it–even when no one is looking. We want our students to not just know what they should do, but why. We want them to want to do the right thing. Honestly holding yourself accountable for your words and actions, both positive and negative. Responsibility is a key feature of independence and maturity, which we inevitably want our students to grow into. Being aware of all the gifts you have in your life and expressing thankfulness to everyone helping you. Gratitude is important because it helps us build and maintain relationships with others. We can help your family work towards freedom.